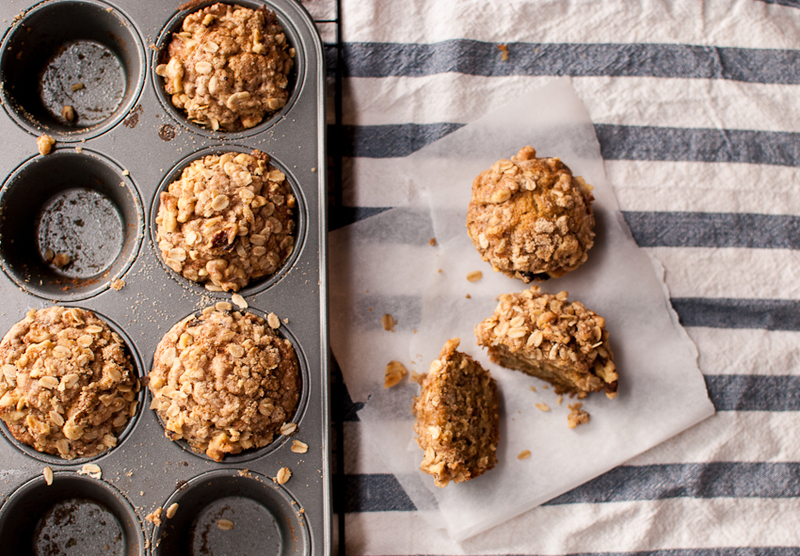 I know…everyone has their own banana bread or banana muffin recipe, but this one is really really good. Super moist with lots of flavor…..one of the secrets is letting your batter rest for 12-36 hours before baking. 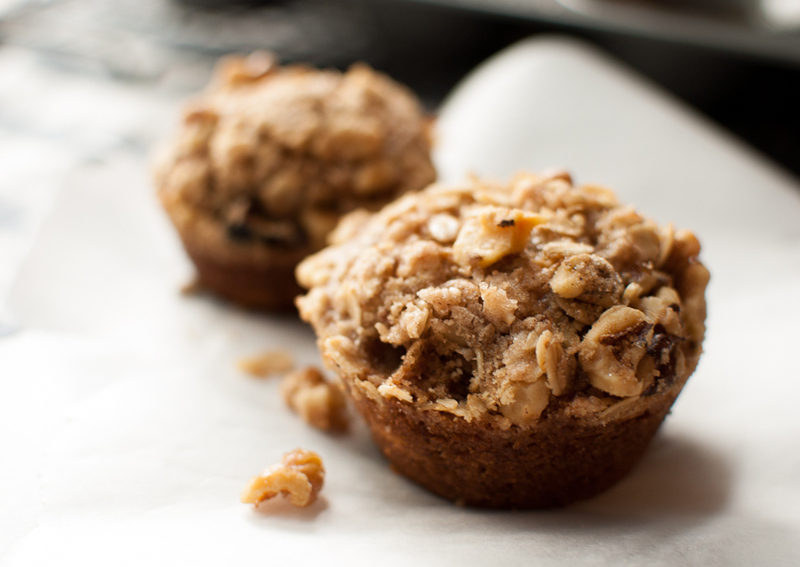 By letting the batter rest, it allows the flour to hydrate, resulting in a moist, light muffin. 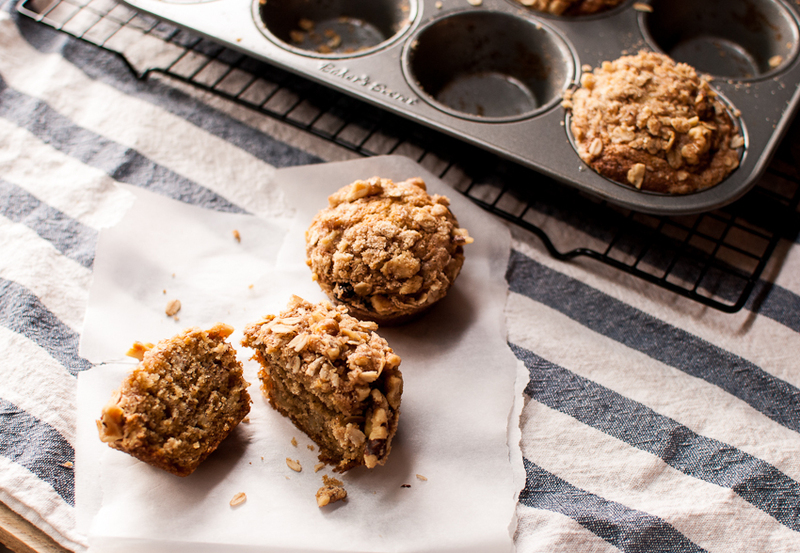 This recipe is great for mixing up the night before and then baking them the morning of, and you’ll have warm banana muffins with your coffee! Sift the cake flour, baking soda, and baking powder together in a medium bowl. Add the salt and whisk ingredients together. In a large mixer, mix butter on medium low until soft and creamy. Add sugar and mix for 1-2 minutes. Then add eggs and vanilla, mixing just until combined. Do not over mix batter. Add the dry ingredients in two additions.Scraping sides and bottom of bowl. Add the sour cream and banana, mixing on low for about 30 seconds, just until combined. Cover batter and refrigerate 12-36 hours. Preheat oven to 425 degrees. Line a standard muffin pan with muffin papers or spray with cooking spray. Spoon batter evenly and sprinkle with walnut streusel topping. Place pan in oven and lower temp to 325 degrees. Bake for 20-25 minutes, muffins are done when a skewer inserted in the middle comes out clean. Mix all ingredients except butter in a small bowl. Add the butter using a pastry cutter or two knives to mix into small pieces. Mixture should resemble small crumbs, but still stick together. I just found you on foodgawker today and started following you! These muffins look amazing!